We create custom unique eLearning experiences to meet your learning and training objectives. 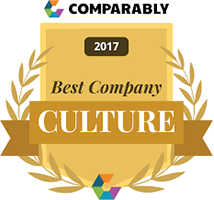 Our award-winning company has created custom content courses for over a decade in a multitude of platforms and software technologies. Our team will develop your entire curriculum of custom courses to fill all of your organization’s training needs.With our consultative approach, our team will work with your organization to understand your content and topics of interest, then create a custom learning plan with targeted outcomes to ensure an engaging training experience. 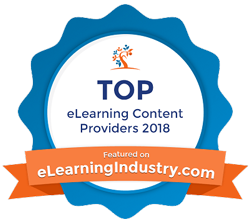 Let us help you determine the best way to educate, engage, and entertain your learners through the use of custom eLearning courses. Your workforce is mobile, so why isn’t your training? Give your employees the advantage of accessing training when they need it, where they need it. We create custom mobile learning applications for Android and iOS devices, along with mobile friendly web-based learning modules designed for a wide variety of business training needs. Designing Digitally’s custom mobile learning solutions are tailored to educate the workforce at your organization using mLearning techniques and tools. Let us deploy your learning solution as a custom Android and/or iOS app and make it available in the app stores. We create exciting, competitive environments to facilitate serious learning through the use of self-paced game-based learning courses. Designing Digitally custom Serious Games incorporate applicable scenario-based, innovative game mechanics, and out of the box learning exercises. 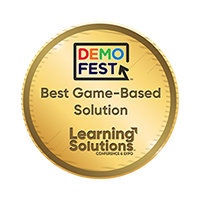 Partner with our award-winning Serious Game developers to obliterate your learners’ perceptions that online training is boring. Our realistic, custom-developed Training Simulations are the perfect way to teach skills and procedures that are dangerous or costly to perform at the workplace. Our custom simulation developments will ensure your learners can practice in a safe environment and gain confidence without the fear of substantial consequences. We will mimic real business scenarios and provide outcomes in the form of positive and negative consequences to ensure the experience is life-like. Improve your employees’ performance in the office or out in field with effective Training Simulations from our simulation team at Designing Digitally. 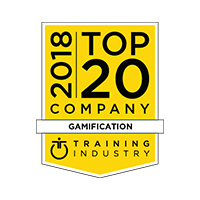 Designing Digitally, Inc. specializes in creating educational, engaging, and entertaining learning experiences that incorporate innovation, creativity, and gamification to enhance learner retention. 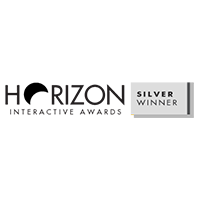 Our award-winning company offers a wide spectrum of solutions, including interactive custom eLearning, Serious Games, Training Simulations, and Mobile Learning. All developments are tailored precisely to our clients’ individual needs. Every custom eLearning solution developed by Designing Digitally is created around your brand and your learners’ needs. By utilizing innovative instructional design and the latest technology advancements, our firm partners with large brands and federal government agencies to create cutting-edge training to engage employees and change behaviors. Designing Digitally, Inc. partners with our clients to assess and establish specific learning objectives that align with business initiatives. Then, we select the appropriate learning strategy and technology platforms that will best accomplish those objectives. Our clients are actively involved in the design and development phases of our thorough production process. We ensure the custom online training will engage your learners and present them with accurate information aligned with your company's objectives and learning needs. To partner with our firm, contact us today! "Designing Digitally, Inc. worked diligently to provide the highest caliber 3D simulation to meet our needs. The creativity and ingenuity of their instructional design and 3D imaging team was second to none! The goal of the simulation was to help engage students in a unique and innovative way towards the achievement of their learning outcomes. We launched the simulation and we have achieved that goal." "...In working with the team at Designing Digitally, they bring a creative, innovative, fun and world class expertise to the development of imagining and re-imagining learning experiences that challenge engage and excite. Always focused on the learner experience and meeting the needs of the client, I have been more than impressed with the seamless project management, attention to detail, overall support and confidence they have brought to this project..."
"We worked with Designing Digitally Inc. to create a vision for the current and future marketplace used by TD Ameritrade. They took our ideas and developed an immersive experience that exceeded our expectations in design and function. They were easy to work with, responsive to our input, and came to the table with a creative flair which made us stand out from the crowd. I highly recommend their work." For security reasons, please answer this math question in the box below: 1 + 9 = ?